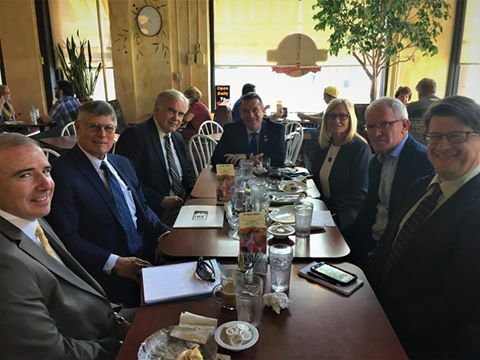 The Nebraska Retail Federation has been meeting with the Nebraska congressional delegation to retain the existing limits on debit card fees. Below is Tom Wright of Wright’s Jewelers in Lincoln, NE with Congressman Jeff Fortenberry. Jim Otto President of the Nebraska Retail Federation with Congressman Don Bacon and staff below. A similar meeting with Congressman Adrian Smith is scheduled.